The bitter rivalry is finally coming to an end. After months of withholding his support for his party’s presidential nominee, Texas Sen. Ted Cruz gave his endorsement to Donald Trump in a Facebook post Friday. Cruz outlined two reasons for his shift. “First, last year, I promised to support the Republican nominee. And I intend to keep my word,” he said, referring to a Republican loyalty pledge he signed during the GOP primaries. 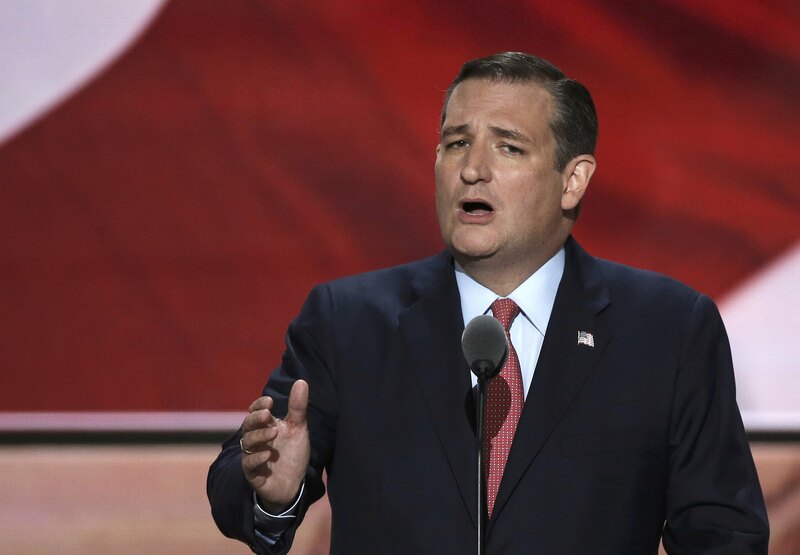 Cruz’s concession comes after a contentious Republican primary, where Trump launched a vitriolic, no-holds-barred offensive on Cruz and his family. Over the course of the candidates’ campaigns, Trump had threatened to “spill the beans” on Cruz’s wife, tweeted out an unflattering photo of her, tied Cruz’s father of President John F. Kennedy’s assassin, and questioned the Texas senator’s citizenship and qualifications for the White House. Trump: Cruz being booed on stage was "beautiful"
Cruz, when invited to address the Republican National Convention in Cleveland in July, refused to back Trump even as he spoke from the convention stage, giving a passive-aggressive non-endorsement calling for Americans to “vote your conscience” -- to loud boos and jeers from the audience. At the time, Trump had brushed off the snub as “no big deal” on Twitter. Earlier this week, Republican National Committee (RNC) chair Reince Priebus told CBS’ “Face the Nation” that the party could penalize those former GOP candidates who didn’t support Trump. On Friday, Trump also released an expanded list of possible Supreme Court candidates he would nominate to replace the late conservative Justice Antonin Scalia. In a move widely seen as an attempt to appeal to the pro-Cruz faction of the Republican party, Trump even included Utah Sen. Mike Lee -- Cruz’s closest ally in the Senate -- as a potential nominee.